There’s a new post over at MobileRead with a long list of hacks and utilities available for Kobo ereaders. There are a ton of add-ons and mods for Kobo ebook readers so the list is quite helpful if you want to tweak your Kobo. Some of the stuff I haven’t heard of before, and a lot of it probably doesn’t interest most people. But some of the mods are really useful. A couple that need to be added to the list are the night mode hack and full screen mode. Also here’s how to downgrade Kobo firmware to an earlier version if you’re having problems with the new firmware or want the old homescreen back. Some people prefer to use the older 3.19.5761 firmware version. One of the best mods is to install an alternative reading program called KOReader. It’s much better for PDFs than the stock software. Other apps can be installed as well. Check out the list for more info. Interesting. I want to know hacks, tricks, mods, app for kindle paperwhite and for boyue t62 or likebook plus based on Android. Kindle is limited? in some ways, by his own software. For the last 5 years, Amazon has been on a mission to eliminate Kindle hacks. The issue is that each update is designed to stop exploits to the OS which are used to hack it so, even if a hack is developed it gets wiped out in the next update. Add Amazon’s “drive-by” updates which force users into the next firmware, THEN add the inability to return to an earlier firmware version and the result of all of this is that you will NEVER see any similar hacks for Kindle. Thank you. Interesting information. Not freedom to control your own device. I don’t understand why people get so bent out of shape over this. You expect Amazon to allow their devices to be openly hacked? You don’t see how that could turn into a serious problem with millions of Kindles out in the word? So they should leave all of them vulnerable to exploits for the 1% people that want to modify their Kindle? Think about. It makes no logical sense. You seem to be conflating the term “hack” meaning to exploit a system for nefarious purposes with the term “hack” meaning changing or improving a system to better suit the users needs. Unfortunately this is not unusual. 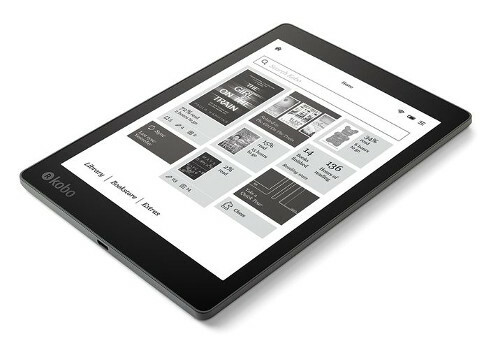 A system like the Kindle could be eminently “hackable” in the latter sense while still being hard to exploit. Bent out of shape? No. Expect Amazon to allow their devices to be hacked? Yes. I like to do basic stuff with my Kindle like change the screensavers and have librarian software. Other people want to install custom fonts or even simple games. People are not “bent out of shape” about this. They are sharing information about the pros & cons of different options. If you or anyone else wants to run your kindle without hacks, GREAT! I don’t judge. so why do you have to judge others with . different needs? Kobo Launcher which is needed for most of these hacks worked great on my H2O but wasn’t at all reliable on my Aura One; even using the latest version. In fact, on my first Aura One it seriously messed up the frontlight every time I turned on the device. On my Aura One LE, I decided to not even try.